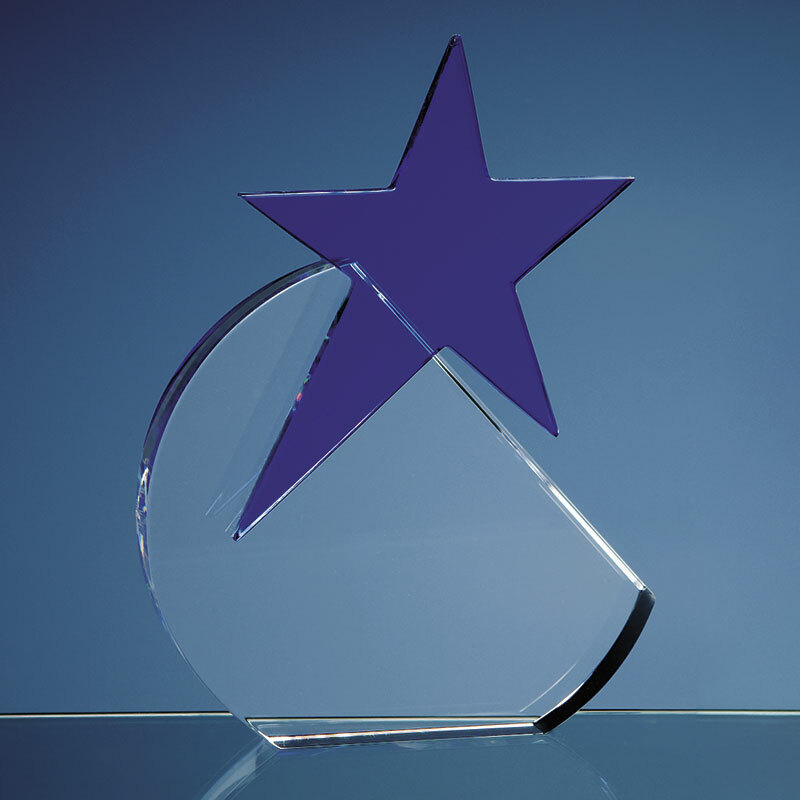 Freestanding semi-circular plaque in clear optical crystal with rising blue crystal star. 17.5cm tall. These striking contemporary crystal awards are suitable for a wide range of events and achievements, from corporate recognition awards to sports prizes to industry awards and more. They feature a freestanding semi-circular plaque, handcrafted in clear optical crystal, and with a stylish blue crystal star attached to the crystal circle. The flat front of these optical crystal awards is ideal for customising and are offered here with engraving and/or colour print options. They are supplied complete with an attractive, foam-lined presentation box.